Does your home consist mainly of olefin carpet and rugs? While a living area covered in these materials may contribute to your home's warmth, the types of padding are also known to attract dirt. Olefin is also difficult to clean since it's resistant to bleach, so can only truly be restored through a professional clean using more advanced means. When it comes to rugs, naïve attempts at cleaning can only serve to make matters worse since such things as soap residue attract further dirt. You need to call the professionals in. Our fully qualified and vetted N4 carpet cleaning team at Carpet Cleaning Harringayunderstand that science insists upon different cleaning methods across different surfaces and will perform that carpet clean at an affordable rate, including rug cleaning in Harringay across the best in modern cleaning approaches using the latest equipment. You can easily reach us on 020 3540 7501. Wish to restore those outdoor seats ahead of spring? Outdoor upholstery cleaning typically involves wiping dissimilar surfaces but no material is too tough for us. Since the spring is so close, we currently offer you a choice of which you'd prefer as comprising our standard rate upholstery cleaning service – indoor upholstery or outdoor upholstery. In other words, you might have outdoor furnishings tended to exclusively, while choosing to leave indoor furnishings alone. On the contrary, should you want both serviced, the additional rate is only half of the original one, so you still won't be paying double. Our upholstery cleaners at Carpet Cleaning Harringay are thoroughly experienced across outdoor table chairs with bird droppings, deck chairs with fabric or vinyl, canvas shelter materials, and will even perform a full sofa cleaning service in Harringay, N4 on either indoor or outdoor sofas at really low cost. Selling your home? Common courtesy insists that you leave the place spotless, and also bacteria free. Simply brushing away dust and vacuuming where furniture once lay does not suffice in handing over a clean and healthy home. Consider that the new tenants aren't moving in for another week and, since leaving windows open exposes the home to burglary, means of ventilation aren't readily available. This is precisely why you need our wholly capable end of tenancy cleaning team to come and perform that end of tenancy clean with eco-friendly means. Since a poorly looked after home vacuum cleaner gives off an unwelcome stench, it's the last thing you want use in preparing the place for new tenants. Rely on our superior tools instead – choose the best and most affordable in move out cleaning in Harringay and contact us on 020 3540 7501. Been wearing a lot of clothes winter? Our domestic cleaning team at Carpet Cleaning Harringay understand that a typical day in January or February involves no fewer than four layers of clothing. While you may feel snug and warm this winter, the one downside is that your dirty washing pile becomes incredibly hard to manage. This is why our fully vetted N4 domestic cleaners want to transform your laundry, among other unattended aspects of your home. Our standard home clean treatment includes organising, washing, folding and ironing clothing, including bedclothes. Blessed by a large team of operatives, we can perform each task very quickly since we want you to get the best value possible from an already low rate. Choose the most affordable in home cleaners by dialling 020 3540 7501. Has dampness around your kitchen sink or bath caused a series of unpleasant lines and stain spots to appear? Cleaning areas damaged by dampness is exceedingly difficult to achieve with the resources you likely have at hand. You require heavy duty cleaning, and it's what our N4 house cleaning team do. Home to the best house cleaners locally, our company Carpet Cleaning Harringaysends out fully vetted staff with experience over many a damp home. In removing damp stains from your kitchen or bathroom, the means we apply also help prevent further build up of dampness later. Still not sure of this? 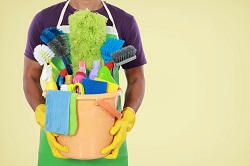 Well you can always sign up to our affordable monthly home clean service should you not be content with a one-off visit. Just had renovations done to your office? Builders can hardly be expected to give your office a thorough clean following completion of their task, so you need to get the best local office cleaning team in. Having dealt with every type of office clean scenario imaginable across parties, functions and extensive document organisation, our affordable Harringay office cleaners will ensure that all left over residue from adjusted floorboards, interior scaffolding and wood planks is swept away accordingly, with all pockets of dust cleared as well. Find out more about our Harringay carpet cleaning prices and professional help by just calling us today! This cleaning company are so fantastic, I've been singing their praises for weeks. My flatmate moved out earlier than me, leaving me to deal with the entire end of tenancy clean! I didn't think this was fair so we agreed to split the cost of a cleaner. Once I got my quote from Upholstery Cleaning Harringay I would have happily paid for it myself, the price was so low. The clean was completed to a really high standard, and I'm incredibly impressed with the high level of customer service received. Harringay, Finsbury Park, Hornsey, Crouch End, Tufnell Park, Holloway, Barnsbury, Islington, Highbury Fields, Stamford Hill, Newington Green, South Tottenham, Harringay, Seven Sisters, Stamford Hill, Upper Holloway, Archway, Tufnell Park, Highgate, Kings Cross, Muswell Hill, Wood Green, Islington, Pentonville, De Beauvoir Town, Hoxton, Lower Clapton, Upper Clapton, Hackney Central, London Fields, N7, N8, N4, N5, N16, N15, N19, N6, N10, N22, N1, E5, E8, N11, N13 and the rest of London as well. 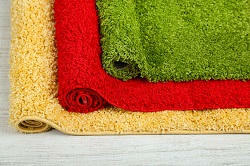 Description: With years of experience carpet cleaning has become for us like a piece of cake. Book our company in Harringay, N4 on 020 3540 7501 and save money! Copyright © 2015 Carpet Cleaning Harringay Ltd. All rights reserved.